The experience of “hearing voices” is at the center of the action and political discourse of the Hearing Voices Movement. This movement has recently contributed to a public debate concerning the recognition of this extra-ordinary experience, in order to struggle against processes of stigmatization of psychiatric patients and to promote new relations of power in the psychiatric field. In fact, through the exploration of the auditory experience of voices, people experiment dialogical practices and innovative itineraries in everyday life. Such experimental path can contribute to a reconsideration of the intimate relationship between corporeality, multisensoriality and place-making. 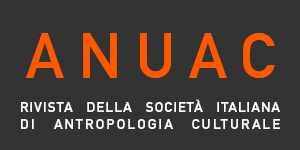 In this article I propose an analysis of some aspects of this practice, through an ethnography carried out with a hearing voices group, in Italy. In particular, focusing on the situated knowledge on soundscapes, I try to map the assemblages of voice, movement and imagination, as forms of (de)territorialization and as contribution to the current political and cultural debate.